Over the course of the past few months we’ve engaged with our customers to determine how we can make our product better… both in terms of new features, and optimizations to our existing platform to make everything faster. We also made improvements to key areas of our app to make information more readily available and easier to access. Below is our list of improvements, if you have any questions please reach out to us!. 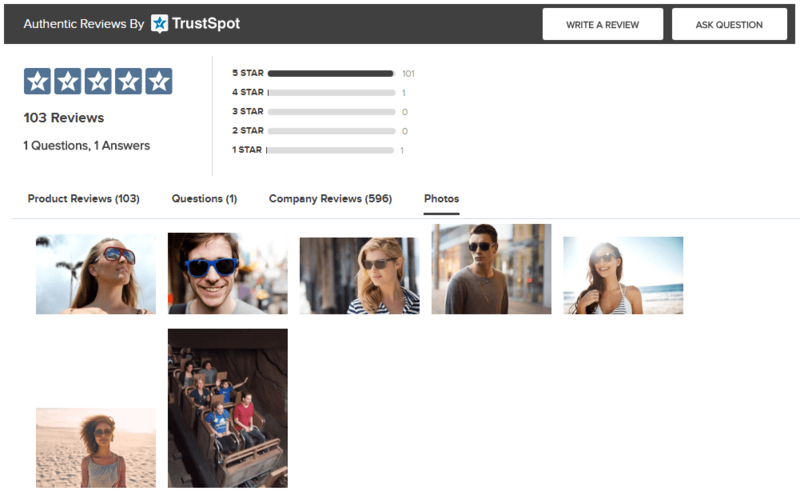 When we originally launched TrustSpot in 2015 we were only collecting Company Reviews. This allowed us to have a simplified dashboard, but in 2017 we added Product Reviews, but never updated the dashboard to handle this change. With today’s release, we are launching a brand new dashboard to not only handle Product Reviews, but to also show off more information to make it easier to access. To change between the Company reviews and Product reviews dashboard, click on the switch button at the top. You can also change the data shown by date with the date selector on the top right. We added a new feature to the Product Widget (which is displayed on your product pages), where customers can leave a review directly on the widget itself. This allows visitors to your product pages to leave a review on the page, without receiving an email review request. By default this feature is disabled, to enable it .. go to Product Reviews > General Settings > Review Widget.. and check the box for “Allow users to submit reviews from the review widget”. Once a customer submits a review they will be sent a verification email (to help avoid spam). Once the customer verifies their email address the review will be placed in your Unpublished queue, and than you can go in and approve it. With more customers utilizing our Visual Marketing features (customer photos), we wanted to introduce a way to show off the product photos in an easy to access area. Within the Product Widget, there is now a 4th tab called “Photos”. When a user clicks on the Photos tab, it will open up and show all the photos for that product. By default this feature is disabled, to enable it .. go to Product Reviews > General Settings > Review Widget.. and check the box for “Enable customer photos to appear in a separate tab”. Over the past few months we’ve seen a huge increase in demand for our customer photos feature. Today we are introducing a few optimizations to make photos load faster and to give a better overall experience. Image Compression via our partner Kraken.io – This essentially reduces the file size of an image making it faster to load. Cloudfront (CDN) Integration – This allows images to load from different server hubs around the world instead of just from our servers in the United States. This means that regardless of where you are, the images will load fast for everybody. Based on customer demand, we added a new feature to the Published Reviews screen, where you can switch a Product Review to a different product. Sometimes a new review might come in that you believe will be better suited for a different product, and with this feature you can now do just that. From Product Reviews > Review Moderation , you will now notice a new button called “Switch Product”. Once this button has been selected, you will see a drop down with all of your products. Simply select the product you would like to change to and than click the “Switch Review to this Product” button. Now that review has been switched to the selected new product.